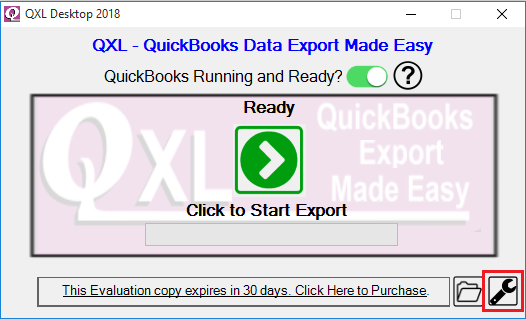 I am using QXL & I want to export QuickBooks Data to ODBC Database. 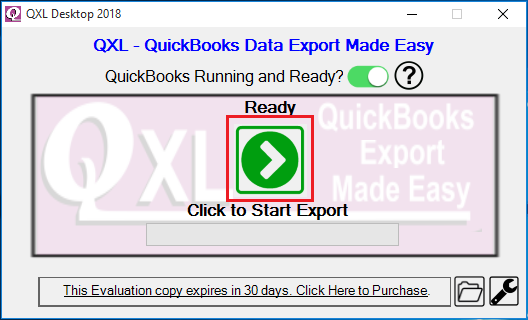 How can I export QuickBooks Data to ODBC Database using QXL? 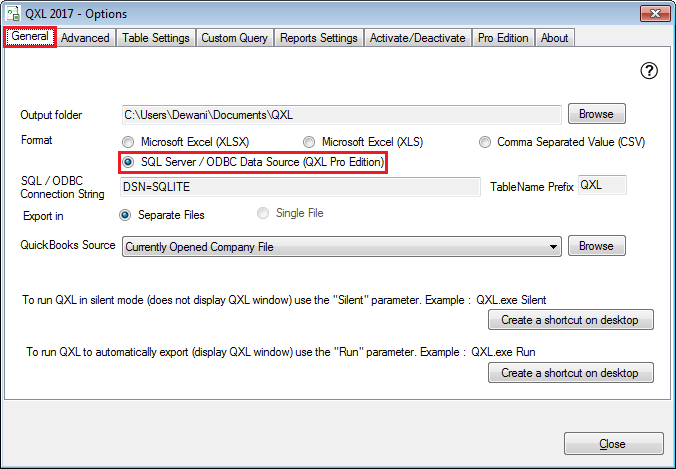 You can export QuickBooks Data to ODBC Database using QXL. 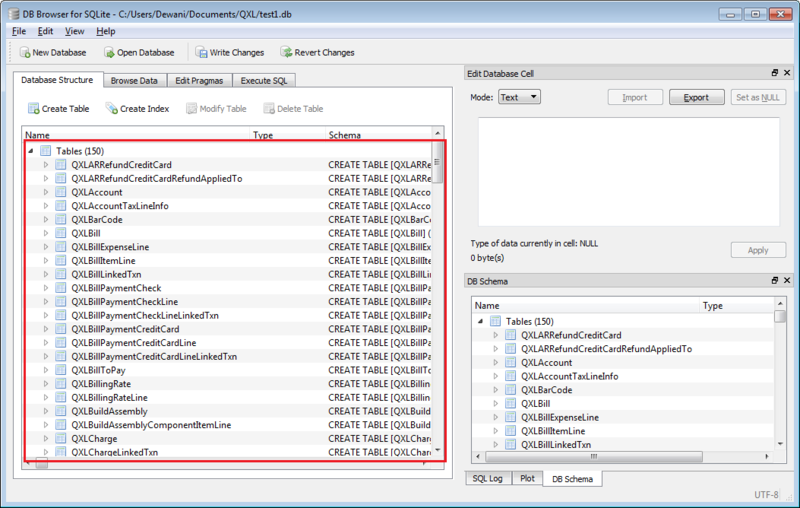 In this example, We will show you export QuickBooks Data to SQLITE (ODBC Database) using QXL. First, You need ODBC connector to connect to ODBC database. You need to download & install ODBC connector on your system. After installing ODBC connector, You need to configure ODBC DSN which will point to the ODBC Database. 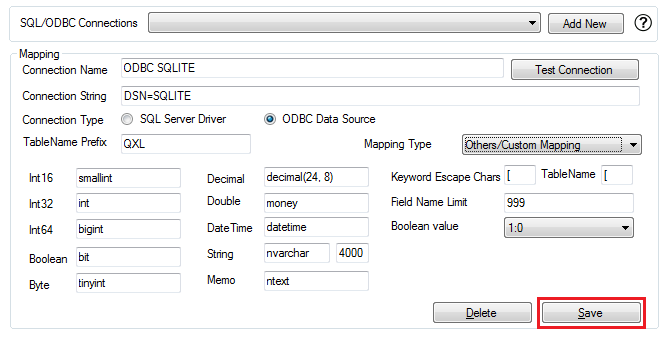 I have already created ODBC DSN for SQLITE below is the property of the DSN. We will use this DSN in QXL. We will use this DSN in QXL. Enter connection details (i.e. 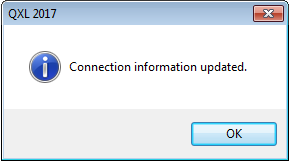 Connection Name, Connection String) select "ODBC Data Source" as a Connection Type & "Others/Custom Mapping" as Mapping Type. 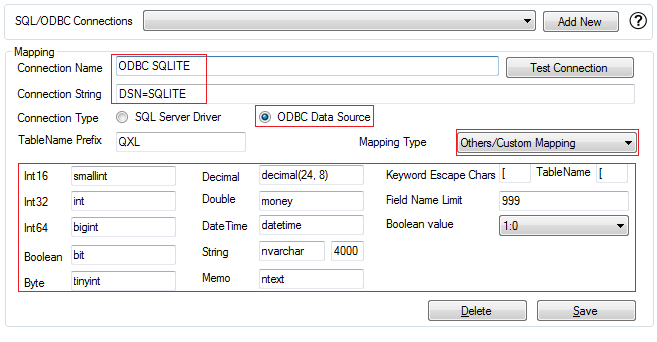 You can configure data mapping as per your ODBC Database. You can choose different data type as per your ODBC Database. For Example: If your ODBC database support smallint instead of Int16, then you need to write smallint in the text box of Int16. 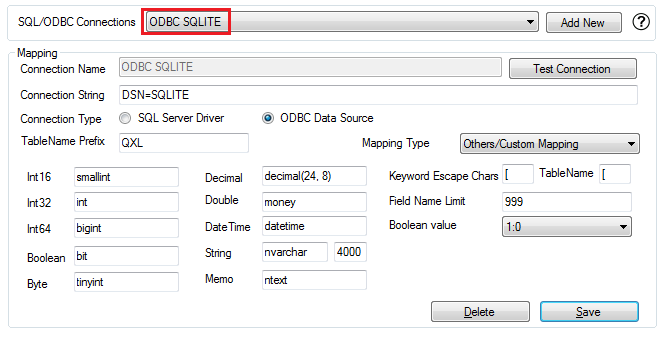 Same way you can change ODBC Mapping for different datatype as per your ODBC Database. After changing ODBC Mapping as per your ODBC Database. 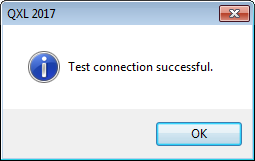 Click "Test Connection" button. 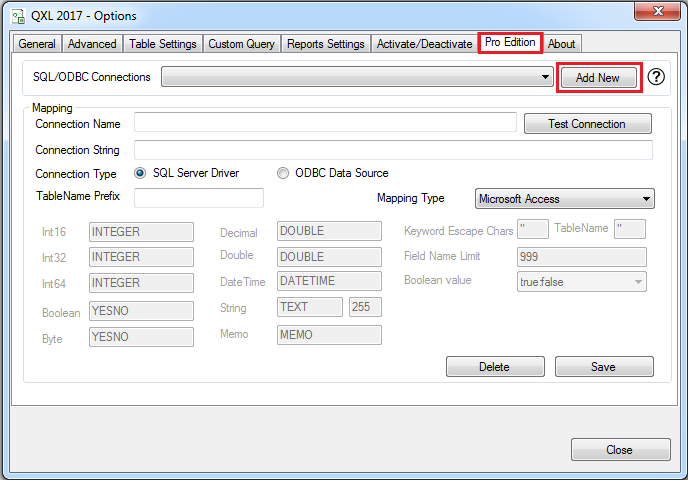 Now data is ready to export into ODBC Database. You can export by clicking on the Export icon from QXL Setup Screen. 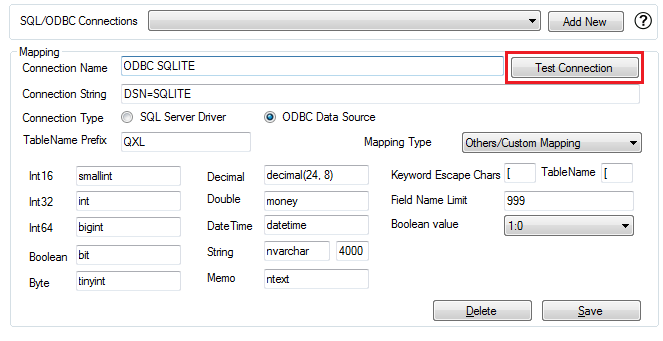 QuickBooks Data is exported to the SQLITE (ODBC Database).